﻿At a birthday party, who wields the most power? The birthday boy or the birthday girl, right? Wrong. Everyone knows it's the person in charge of cutting the cake. That person runs the show... and that person, drunk on their own power... controls who gets "a piece with lots of frosting"... or "an end piece"... or "a middle piece"... or "a big piece". This person is almost as powerful as the individual in charge of the gravy boat at Thanksgiving. To apply this analogy to history, China was like a giant sheet cake with buttercream frosting. 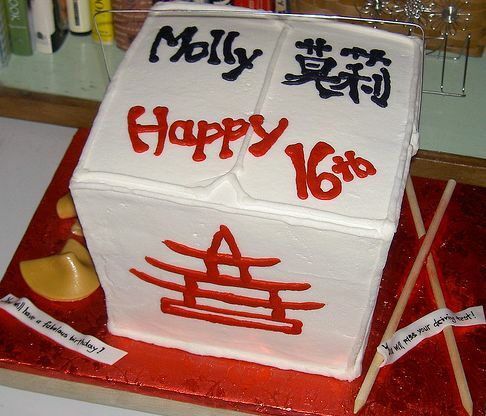 One problem: the Chinese Government struggled to keep control of its own cake... and this was during their birthday party! 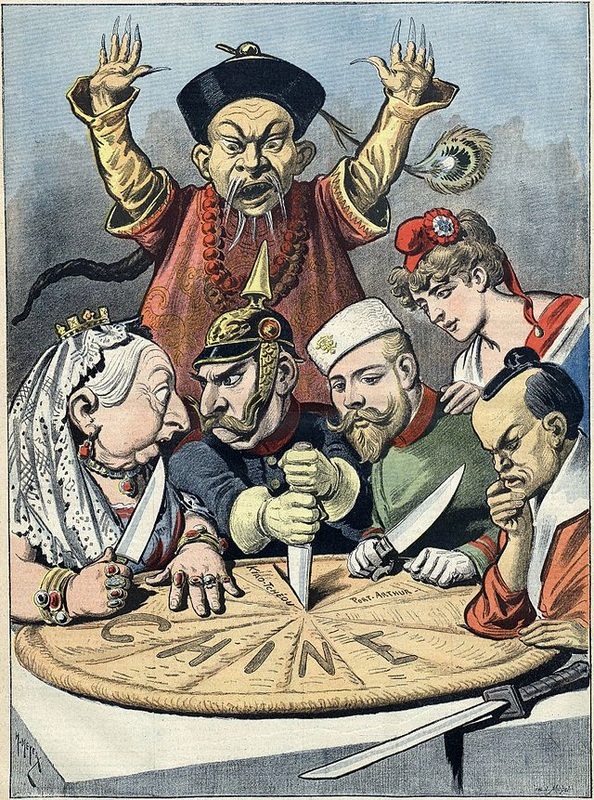 The European imperialistic nations played the role of the uninvited party crashers, and, to make matters worse, they rolled in with more advanced cake cutting knives... and a belief that they knew how best to cut the cake. (There's always 'that' guy at the birthday party.) And having perfected their skills on ﻿Africa, Japan, and Southeast Asia... an an﻿ they turned their attention to China. 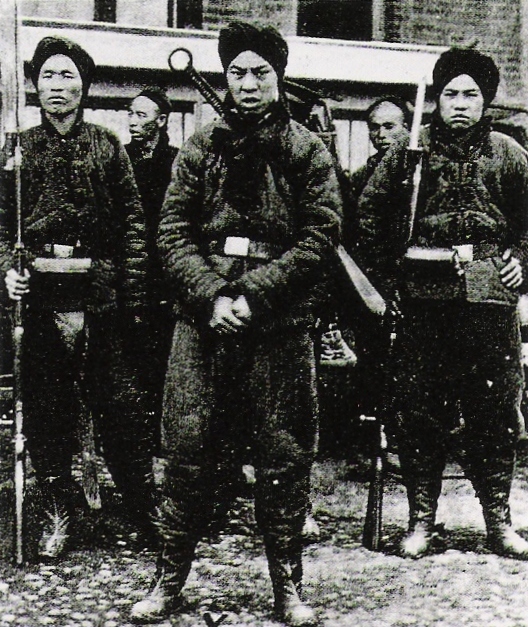 In 1899, a secret society of Chinese called the Yihetuan ("The Society of the Righteous and Harmonious Fist") had enough Western interference and were tired of the Christians telling them their beliefs were wrong... so they began killing Christian missionaries. 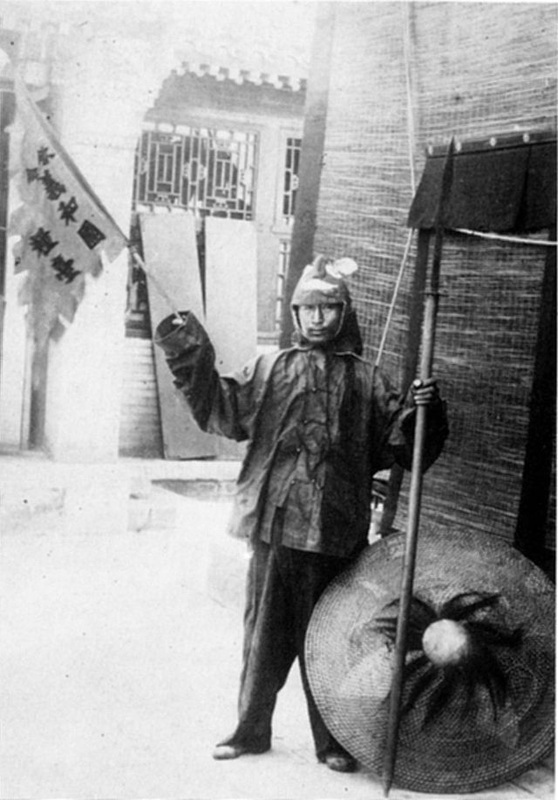 The Yihetuan, called "Boxers" because of a loose English translation of their name, were well-trained in martial arts and calisthenics. 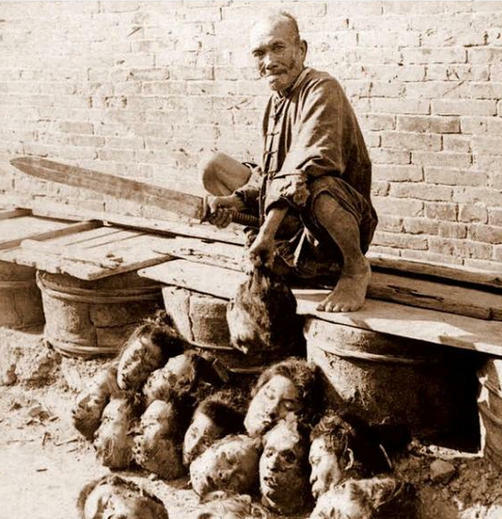 They managed to kill 18,730 Chinese Christians and over 2,000 missionaries. The Boxers then converged on China's capital of Beijing with the slogan "Support the Qing, exterminate the foreigners!" 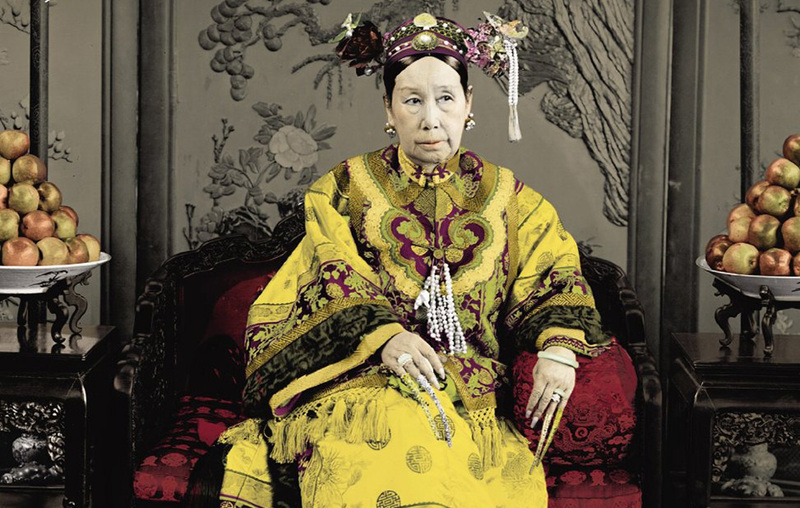 Qing Empress Cixi ["Tzu-he-she"] supported the Boxers, and on June 21, 1900, she authorized war on foreign powers. 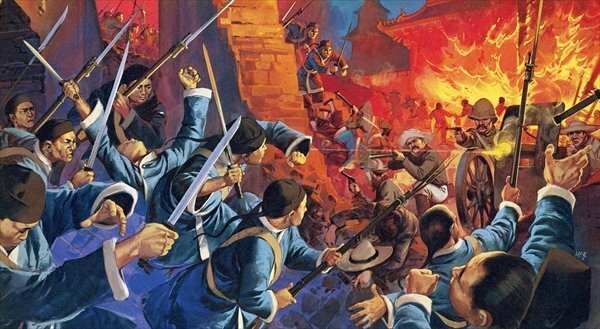 Diplomats, foreign civilians and soldiers, and Chinese Christians found themselves under siege by the Imperial Chinese Army and the Boxers for 55 days. 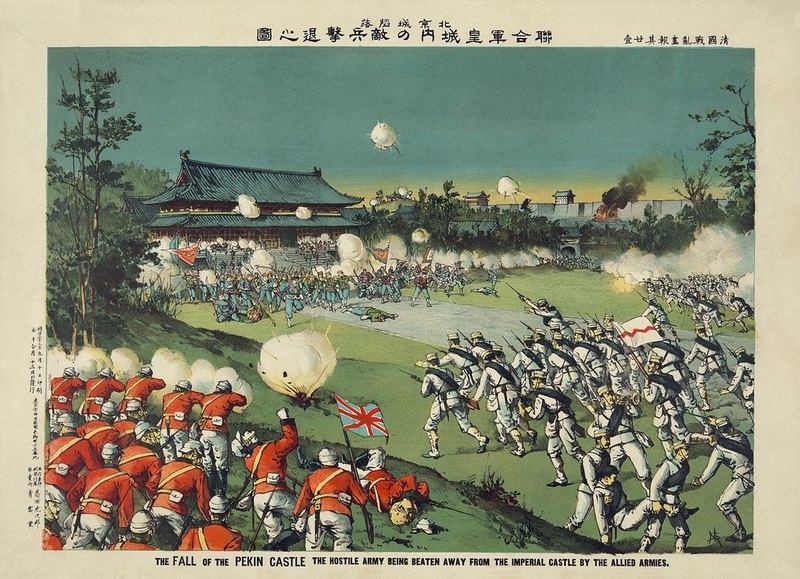 Expulsion of all foreigners from China became the end-goal of the Boxers during the Boxer Rebellion (1899-1901). 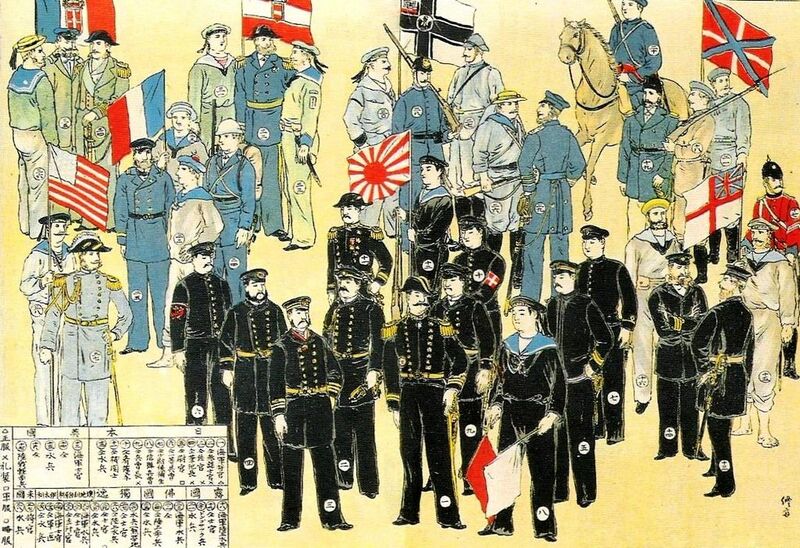 It took 20,000 soldiers sent as part of the Eight-Nation Alliance (comprised of Austria-Hungary, Britain, France, Germany, Italy, Japan, Russia, and the U.S) to defeat the Boxers and the Imperial Army and lift the siege on Beijing by August 14th. 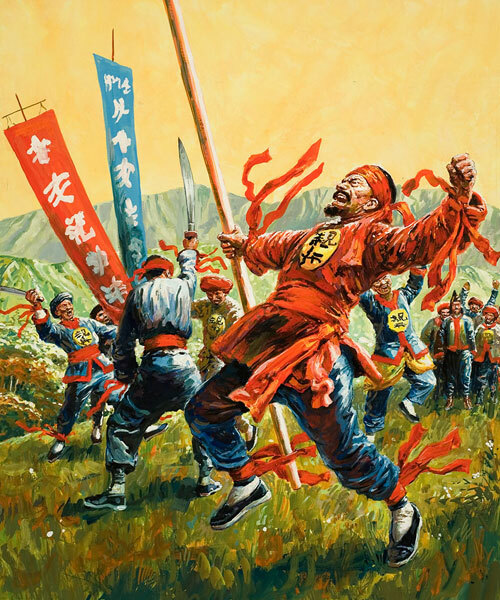 Pent-up frustration with the Chinese resulted in uncontrolled plunder of the capital and the surrounding countryside, along with the execution of those suspected of being Boxers. 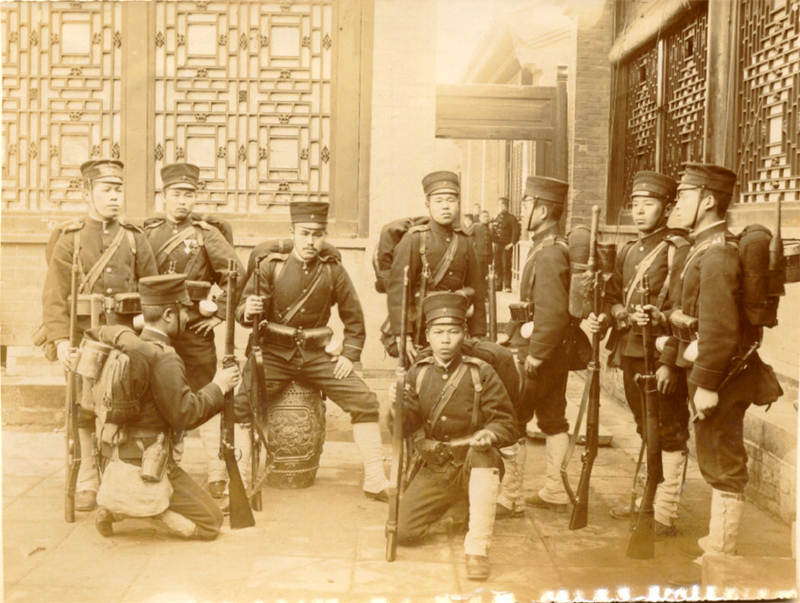 The Qing Dynasty was, by no means, defeated when the Western powers took control of Beijing. 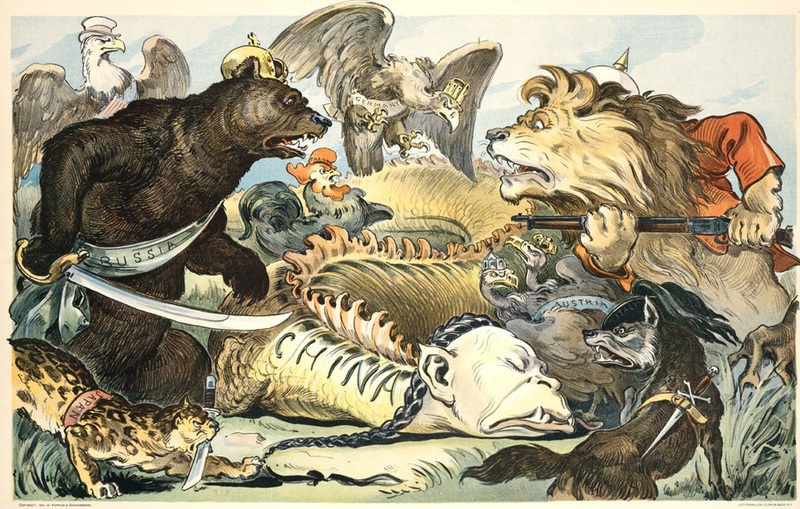 And, the Western powers didn’t want it to be overthrown. They needed a Chinese Government that was strong enough to prevent future anti-foreign movements... but not strong enough to act on its own. 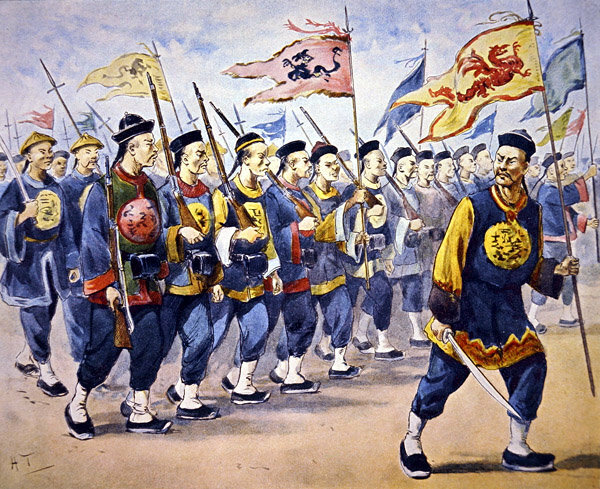 As such, they supported the continuation of the Qing Dynasty rather than allow for it to be overthrown. 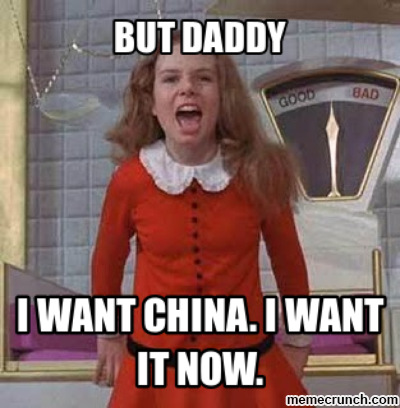 Europe then prepared to carve up China in a fashion similar to what it had done to Africa. U.S. Secretary of State John Milton Hay, however, stepped in and convinced them to not do this. And, for whatever reason, they listened to him. 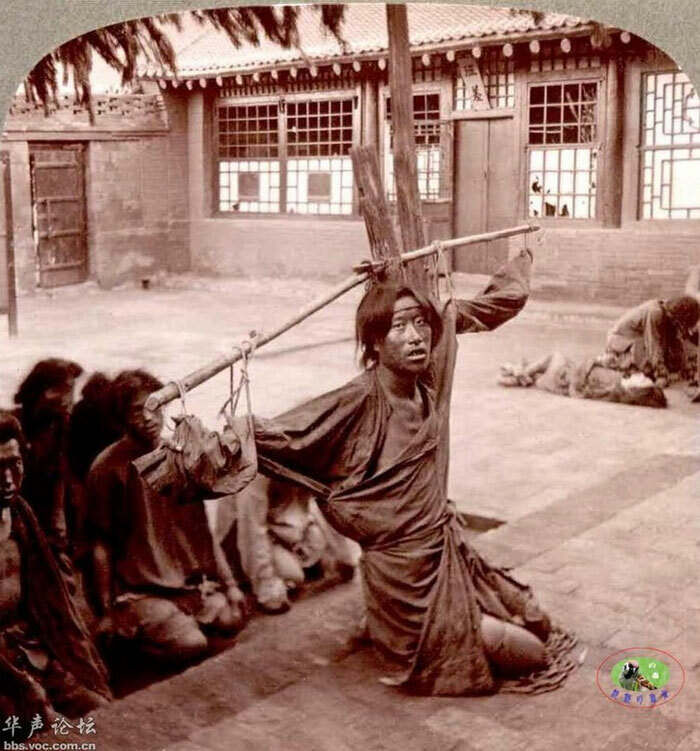 On September 7, 1901, the Qing Dynasty signed the "Boxer Protocol", which ordered the execution of 10 high-ranking officials linked to the rebellion (except for Empress Cixi) and other officials found guilty for killing foreigners in China. 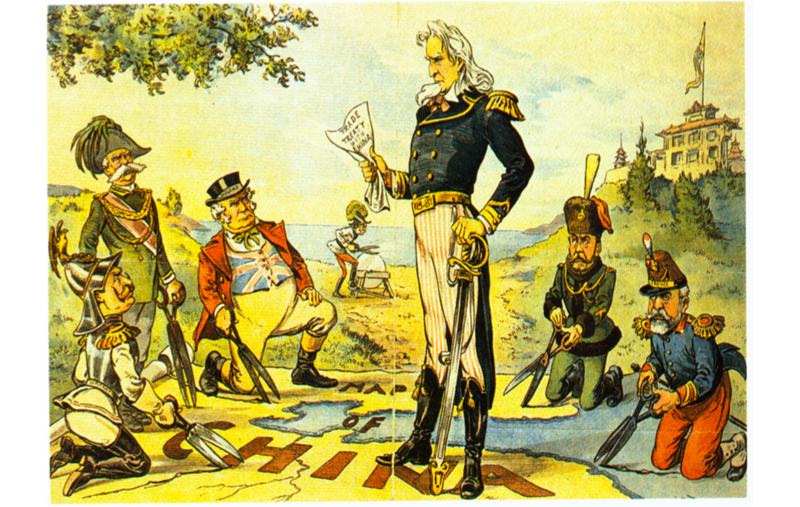 Included in the peace treaty was a guarantee that China would not have to give up any additional territory to the West. 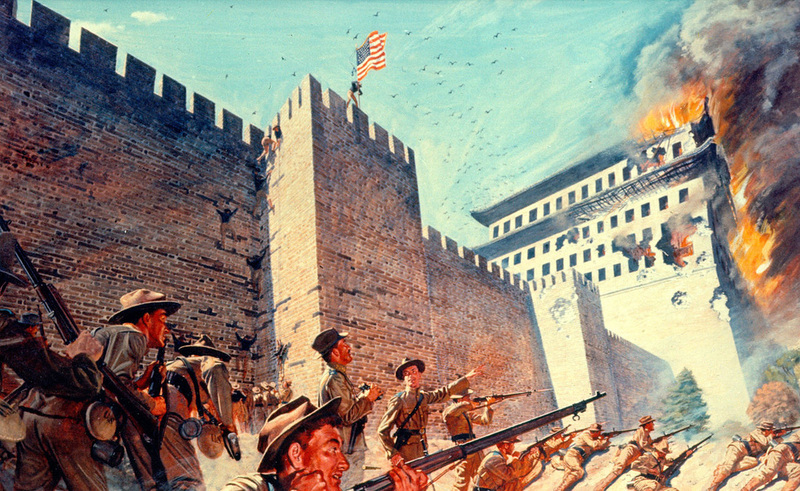 However, an international military force was to be permitted to remain in Beijing, and $333 million was owed the eight nations in war reparations (payable over 39 years). The U.S. used its share of the money to fund the creation of China's prestigious Tsinghua University and for the education of Chinese students in American universities under the "Boxer Indemnity Scholarship Program". 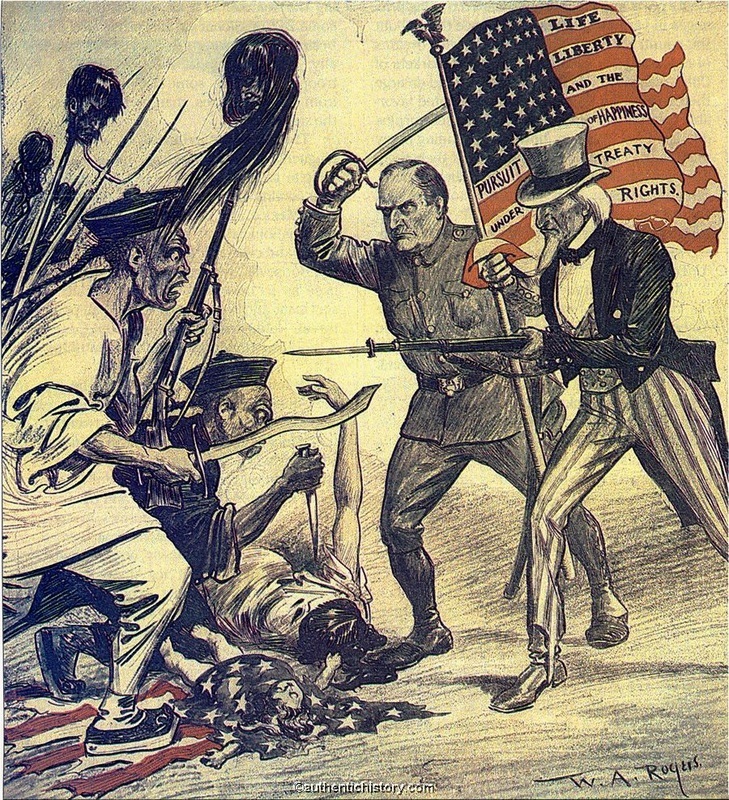 Adhering to the old adage of "you catch more flies with honey than with vinegar", the U.S. opted for the nicer approach to China as a way of insuring that future trade between the two nations continued. 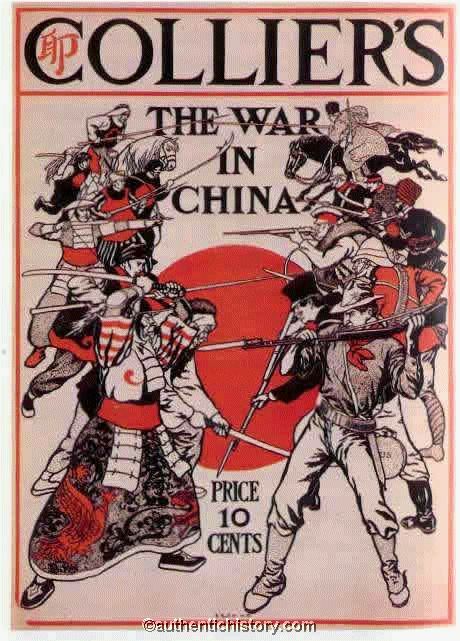 But, more realistically, the U.S. (knowing full well it couldn't defeat any of the European superpowers... yet) used diplomacy in order to keep Europe from feasting upon China. 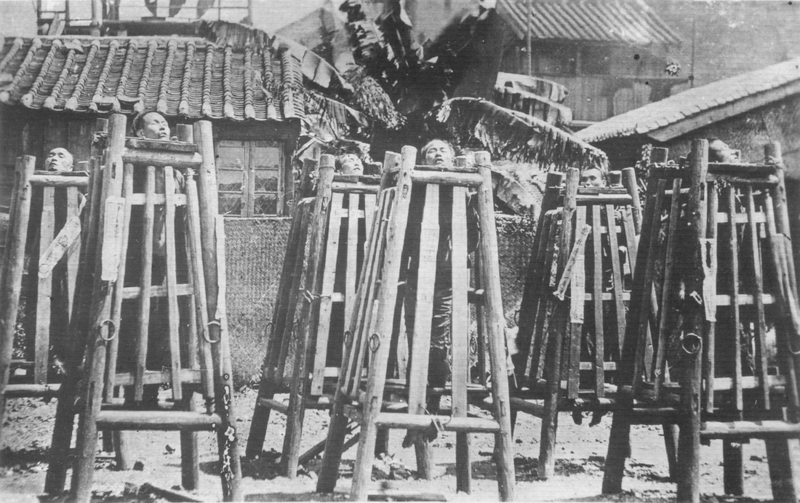 ﻿The U.S. was able to play a major role in suppressing the Boxer Rebellion thanks to the presence of American forces already deployed in the Philippines, which the U.S. annexed in 1898. 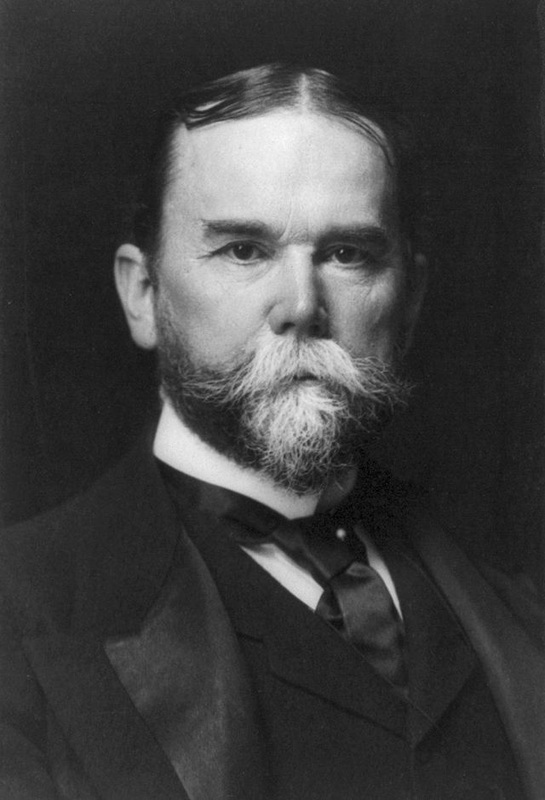 However, President William McKinley's decision to send 5,000 U.S. soldiers as the China Relief Expedition was met with some resistance at home. The great American author Mark Twain said, "The Boxer is a patriot. He loves his country better than he does the countries of other people. 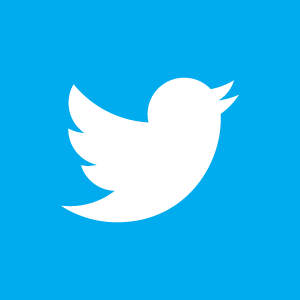 I wish him success." 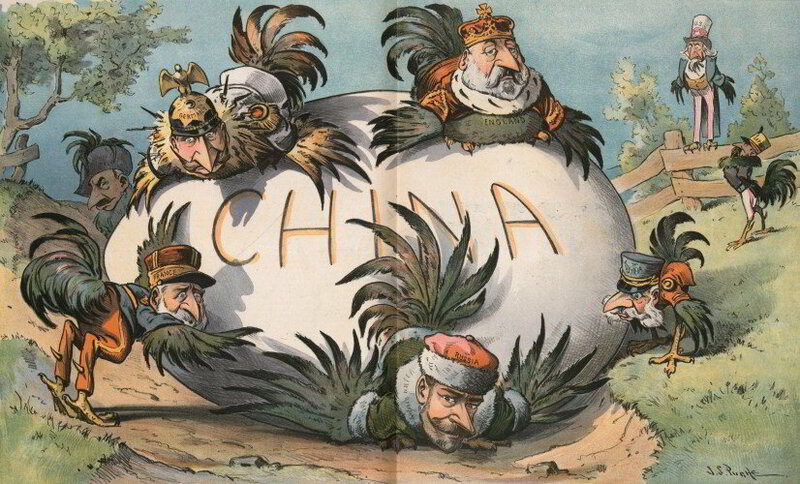 Certainly, the Open Door Policy was rooted in the desire of American businesses to exploit Chinese markets, though it also tapped the deep-seated sympathies of those who opposed imperialism (like Mark Twain), especially as the policy pledged to protect China's territorial integrity. 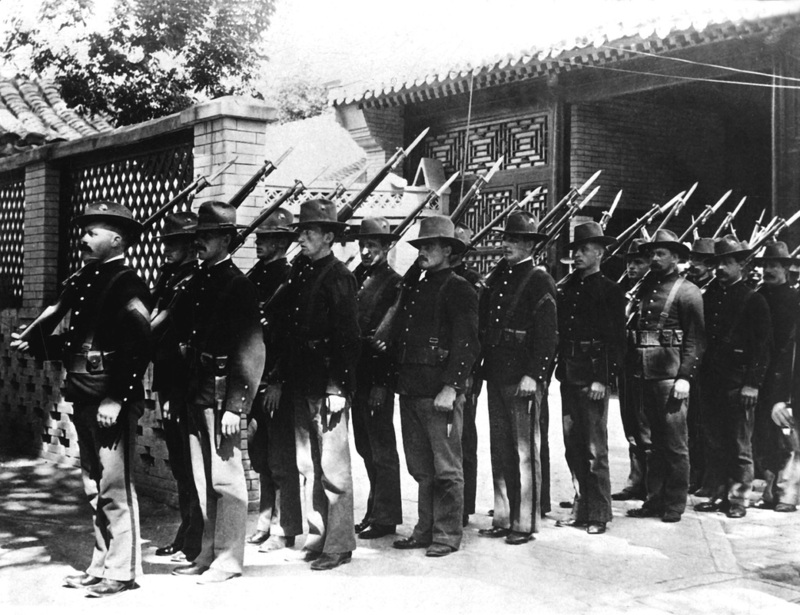 While this policy didn't prevent the Boxer Rebellion, it did come in handy during the negotiations about what to do with China when it was over. Despite "Boxers" rising up against (and losing to) Western imperialism, Europe doesn't carve up China thanks to America's Open Door Policy.